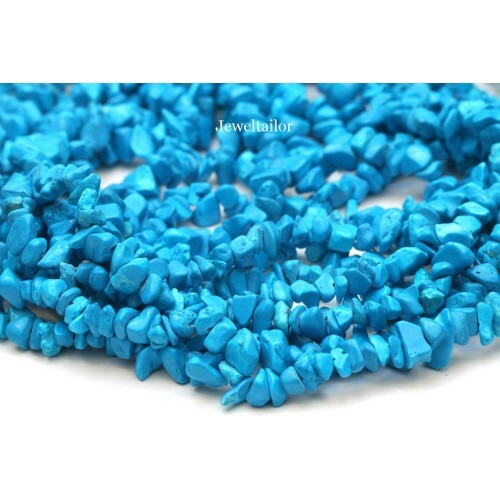 These stylish, premium quality, turquoise howlite gemstone chip beads feature a range of shapes in hues of deep sky blue to reflect the light beautifully. Each 32inch strand includes between 200-250 beads and each measures between 5-8mm with 0.8-1mm holes. 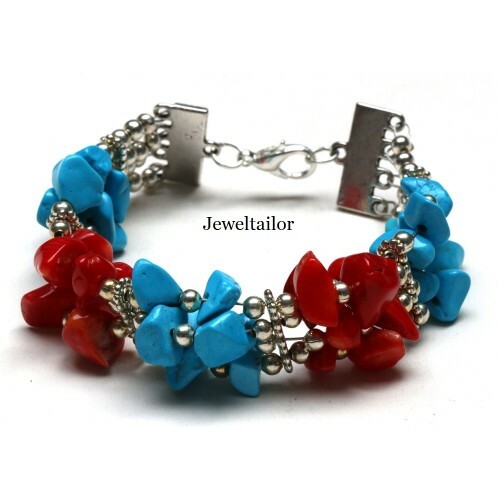 Each semi precious turquoise bead is unique and features individual elements making them ideal for bespoke designs and crafts as demonstrated in the bracelet pictured on the other page. 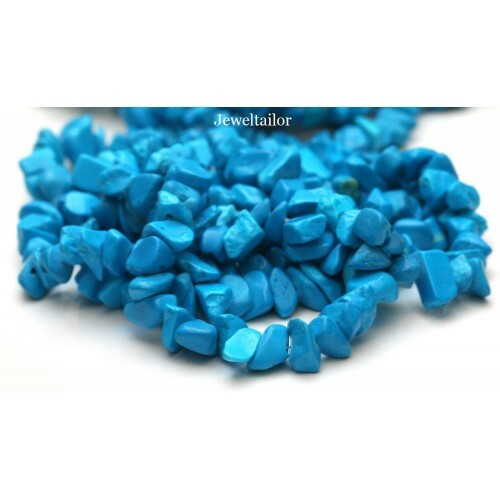 These popular semi precious turquoise beads are ideal for quality jewellery making, sewing and craft projects such as fabric adornments, necklaces earrings or bracelets. N.B Due to the natural, unique formation of gemstones, the actual product may differ from the images displayed.